One result of compromising with our evolutionary culture is the view of creation called the “day-age” theory or “progressive creation.” This view, while not a new one, has received wide publicity in the past several years. Much of this publicity is due to the publications and lectures of astronomer Dr. Hugh Ross — probably the world’s leading progressive creationist. Dr. Ross’s views on how to interpret the Book of Genesis won early endorsements from many well-known Christian leaders, churches, seminaries, and Christian colleges. The teachings of Dr. Ross seemingly allowed Christians to use the term “creationist” but still gave them supposed academic respectability in the eyes of the world by rejecting six literal days of creation and maintaining billions of years. However, after his views became more fully understood, many who had previously embraced progressive creation realized how bankrupt those views are and removed their endorsement. The big-bang origin of the universe occurred about 13–15 billion years ago. The record of nature is just as reliable as the Word of God. Manlike creatures that looked and behaved much like us (and painted on cave walls) existed before Adam and Eve but did not have a spirit that was made in the image of God, and thus had no hope of salvation. Progressive creationists claim that the days of creation in Genesis 1 represent long periods of time. 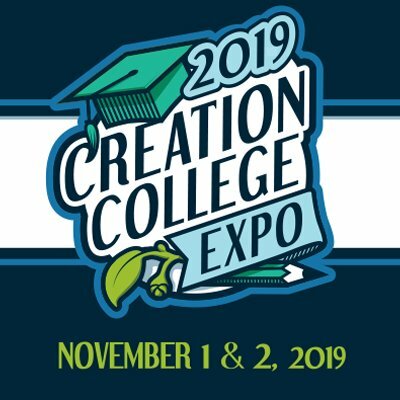 In fact, Dr. Ross believes day 3 of creation week lasted more than 3 billion years!5 This assertion is made in order to allow for the billions of years that evolutionists claim are represented in the rock layers of earth. This position, however, has problems, both biblically and scientifically. The text of Genesis 1 clearly states that God supernaturally created all that is in six actual days. As their name indicates, progressive creationists believe that God progressively created species on earth over billions of years, with new species replacing extinct ones, starting with simple organisms and culminating in the creation of Adam and Eve. They accept the evolutionary order for the development of life on earth, even though this contradicts the order given in the Genesis account of creation.9 Evolutionary theory holds that the first life forms were marine organisms, while the Bible says that God created land plants first. Reptiles are supposed to have predated birds, while Genesis says that birds came first. Evolutionists believe that land mammals came before whales, while the Bible teaches that God created whales first. Not everyone has been exposed to the sixty-six books of the Bible, but everyone on planet Earth has been exposed to the sixtyseventh book—the book that God has written upon the heavens for everyone to read. Dr. Ross is right that God cannot lie, and God tells us in Romans 8:22 that “the whole creation groans and labors with birth pangs” because of sin. And not only was the universe cursed, but man himself has been affected by the Fall. So how can sinful, fallible human beings in a sin-cursed universe say that their interpretation of the evidence is as perfect as God’s written revelation? Scientific assertions must use fallible assumptions and fallen reasoning—how can this be the Word of God? In other words, Christians should build their thinking on the Bible, not on fallible interpretations of scientific observations about the past. Progressive creationists believe the fossil record was formed from the millions of animals that lived and died before Adam and Eve were created. They accept the idea that there was death, bloodshed, and disease (including cancer) before sin, which goes directly against the teaching of the Bible and dishonors the character of God. God created a perfect world at the beginning. When He was finished, God stated that His creation was “very good.” The Bible makes it clear that man and all the animals were vegetarians before the Fall ( Genesis 1:29-30 ). Plants were given to them for food (plants do not have a nephesh [life spirit] as man and animals do and thus eating them would not constitute “death” in the biblical sense12). However, the Bible teaches something quite different. In the context of human death, the apostle Paul states, “Through one man sin entered the world, and death through sin” ( Romans 5:12 ). It is clear that there was no sin in the world before Adam sinned, and thus no death. God killed the first animal in the Garden and shed blood because of sin. If there were death, bloodshed, disease, and suffering before sin, then the basis for the atonement is destroyed. Christ suffered death because death was the penalty for sin. There will be no death or suffering in the perfect “restoration”—so why can’t we accept the same in a perfect (“very good”) creation before sin? Since evolutionary radiometric dating methods have dated certain humanlike fossils as older than Ross’s date for modern humans (approx. 40,000 years), he and other progressive creationists insist that these are fossils of pre-Adamic creatures that had no spirit, and thus no salvation. 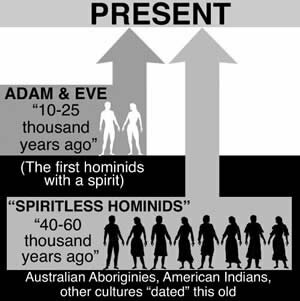 Dr. Ross accepts and defends these evolutionary dating methods, so he must redefine all evidence of humans (descendants of Noah) if they are given evolutionary dates of more than about 40,000 years (e.g., the Neandertal cave sites) as related to spiritless “hominids,” which the Bible does not mention. However, these same methods have been used to “date” the Australian Aborigines back at least 60,000 years (some have claimed much older) and fossils of “anatomically modern humans” to over 100,000 years.15 By Ross’s reasoning, none of these (including the Australian Aborigines) could be descendants of Adam and Eve. However, Acts 17:26 says, “And He has made from one blood every nation of men to dwell on all the face of the earth, and has determined their preappointed times and the boundaries of their dwellings” (NKJV). All people on earth are descendants of Adam. In addition, the fossil record cannot, by its very nature, conclusively reveal if a creature had a spirit or not, since spirits are not fossilized. But there is clear evidence that creatures, which Ross (following the evolutionists) places before Adam, had art and clever technology and that they buried their dead in a way that many of Adam’s descendants have.16 Therefore, we have strong reason to believe that they were fully human and actually descendants of Adam, and that they lived only a few thousand years ago. One important tenet of progressive creation is that the Flood of Noah’s day was a local flood, limited to the Mesopotamian region. 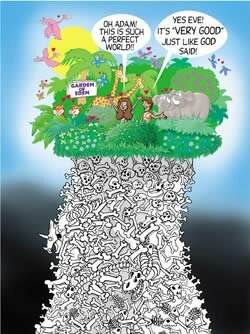 Progressive creationists believe that the rock layers and fossils found around the world are the result of billions of years of evolutionary earth history, rather than from the biblical Flood. 19 They [the flood waters] rose greatly on the earth, and all the high mountains under the entire heavens were covered. 21 Every living thing that moved on the earth perished — birds, livestock, wild animals, all the creatures that swarm over the earth, and all mankind. 23 Every living thing on the face of the earth was wiped out; men and animals and the creatures that move along the ground and the birds of the air were wiped from the earth. Only Noah was left, and those with him in the ark [emphasis added]. If the Flood was local, why did God send the animals to the ark so they could escape death? There would have been other animals to reproduce that kind if these particular ones had died. 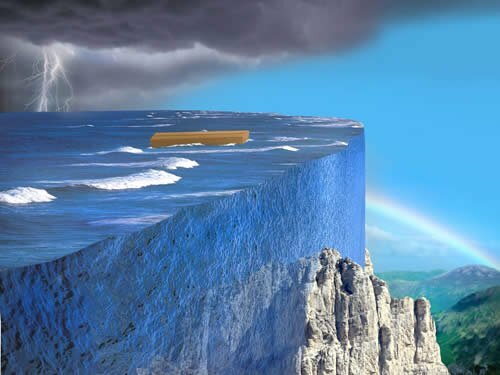 If the Flood was local, how could the waters rise to 15 cubits (8 meters) above the mountains ( Genesis 7:20 )? Water seeks its own level. It couldn’t rise to cover the local mountains while leaving the rest of the world untouched. If the Flood was local, people who did not happen to be living in the vicinity would not be affected by it. They would have escaped God’s judgment on sin. If this had happened, what did Christ mean when He likened the coming judgment of all men to the judgment of “all” men in the days of Noah ( Matthew 24:37–39 )? A partial judgment in Noah’s day means a partial judgment to come. It is true that whether one believes in six literal days does not ultimately affect one’s salvation, if one is truly born again. However, we need to stand back and look at the “big picture.” In many nations, the Word of God was once widely respected and taken seriously. But once the door of compromise is unlocked and Christian leaders concede that we shouldn’t take the Bible as written in Genesis, why should the world take heed of it in any area? Because the Church has told the world that one can use man’s interpretation of the world (such as billions of years) to reinterpret the Bible, it is seen as an outdated, scientifically incorrect “holy book,” not intended to be taken seriously. As each subsequent generation has pushed this door of compromise open farther and farther, increasingly they are not accepting the morality or salvation of the Bible either. After all, if the history in Genesis is not correct as written, how can one be sure the rest can be taken as written? Jesus said, “If I have told you earthly things and you do not believe, how will you believe if I tell you heavenly things?” ( John 3:12 ; NKJV). It would not be exaggerating to claim that the majority of Christian leaders and laypeople within the church today do not believe in six literal days. Sadly, being influenced by the world has led to the Church no longer powerfully influencing the world. The “war of the worldviews” is not ultimately one of young earth versus old earth, or billions of years versus six days, or creation versus evolution—the real battle is the authority of the Word of God versus man’s fallible theories. Belief in a historical Genesis is important because progressive creation and its belief in millions of years (1) contradicts the clear teaching of Scripture, (2) assaults the character of God, (3) severely damages and distorts the Bible’s teaching on death, and (4) undermines the gospel by undermining the clear teaching of Genesis, which gives the whole basis for Christ’s atonement and our need for a Redeemer. So ultimately, the issue of a literal Genesis is about the authority of the Word of God versus the authority of the words of sinful men. And why should Christians believe in six literal days of creation? Because of the words of Scripture (“In six days the Lord made . . .”). The real issue is one of authority—let us unashamedly stand upon God’s Word as our sole authority! Previous Chapter Where Did the Idea of “Millions of Years” Come From? Next Chapter Is the Intelligent Design Movement Christian? For a more complete analysis, see Jonathan Sarfati, Refuting Compromise (Green Forest, AR: Master Books, 2004); Tim Chaffey and Jason Lisle, Old-Earth Creationism on Trial (Green Forest, AR: Master Books, 2008); Mark Van Bebber and Paul S. Taylor, Creation and Time: A Report on the Progressive Creation Book by Hugh Ross (Gilbert, AZ: Eden Publications, 1994); Old-Earth Creationism. Dallas Theological Seminary chapel service, September 13, 1996. Toccoa Falls Christian College, Staley Lecture Series, March 1997. 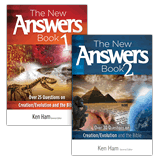 See The New Answers Book, chapter 8 by Ken Ham, for a more detailed defense of literal days in Genesis 1 (Green Forest, AR: Master Books, 2006), p. 88–112. Letter to David C.C. Watson, April 23, 1984. See chapter 2, “What’s the Best ‘Proof ’ of Creation?” for more on how our presuppositions influence our interpretations. Answers in Genesis website: “Evolution vs. Creation: The Order of Events Matters!” Dr. Terry Mortenson, April 4, 2006, http://www.answersingenesis.org/docs2006/0404order.asp. D. Young, The Harmonization of Scripture and Science, science symposium at Wheaton College, March 23, 1990. L. Berkhof, Introductory volume to Systematic Theology (Grand Rapids, MI: Wm. B. Eerdmans Publ. Co., 1946), p. 60, 96. 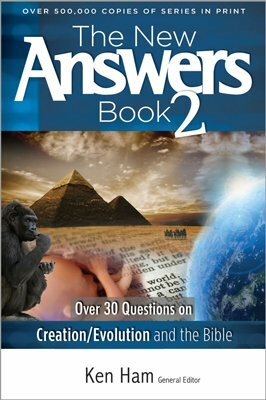 See The New Answers Book, chapter 21 by Andy McIntosh and Bodie Hodge, p. 259–270, for more details. Hugh Ross, “The Physics of Sin,” Facts for Faith, Issue 8, 2002, http://www.reasons.org/resources/publications/facts-faith/2002issue08#physics_of_sin. Dr. Terry Mortenson, “Genesis According to Evolution,” Creation 26(4) September 2004: 50–51. T. White et al., “Pleistocene Homo sapiens from Middle Awash, Ethiopia,” Nature 423 (June 12, 2003): 742–747. Dr. Ross will permit up to 60,000 years, but this is extreme for this position. Marvin Lubelow, Bones of Contention, revised and updated (Grand Rapids, MI: Baker Books, 2004). See John Woodmorappe, Noah’s Ark: A Feasibility Study (El Cajon, CA: Institute for Creation Research, 1996).